Anixter. Since the release of the Environmental Protection Agency (EPA) report on data center power consumption to congress in 2007, numerous organizations have joined the cause to operate more efficiently, with The Green Grid (TGG) gaining worldwide acceptance as the industry leader for data center efficiency. Although financial rewards are the prime driver of efficiency, many companies and data center organizations care about their carbon impact. Reducing carbon emissions is a global target; while current U.S. economic and political climates would indicate no formal government-based reporting policy, the industry is supporting sustainability efforts led by TGG, LEED from the USGBC (U.S. Green Building Council), and EPA’s data center Energy Star program. 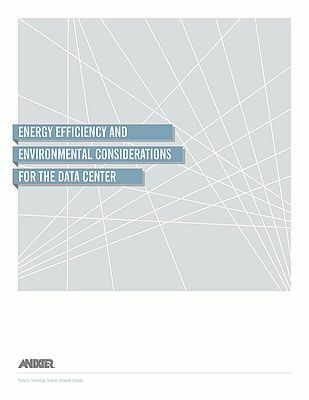 For a more current look at data centers’ key power contribution to the EPA’s report, Jonathon Koomey, Ph.D., indicates that in 2010 the data center energy usage worldwide was roughly 1.5%.